No. of rooms: 3 (big master bedroom with working area, children room & TV / workout room. Renovated with jacuzzi, build in wardrobes, kitchen cabinet, AV room, great move in condition. No termite. No leaking roof. Direct access to Parkson OUG, Pear Point Hotel, Scott Garden, Tesco, 5 mins to Mid Valley City. Suitable for small family with kids. 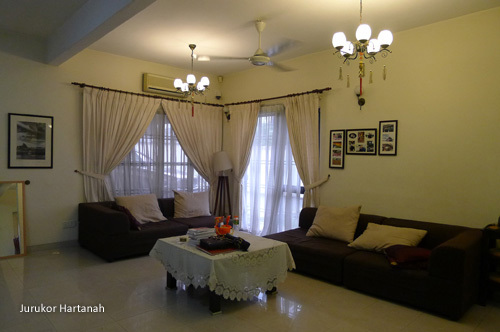 Contact Vivian 012-3847410 for viewing appointment.